Let’s celebrate International Women’s Day, by recalling the women who have inspired us. There are many women who hold my respect, but today I’m thinking especially of my mother and my mother-in-law. My mother had one clear goal in her life which was to get her daughters well settled in life. All her life, she worked tirelessly towards this. My father was often away and she had to see to the household as well as hold down a job. Whatever my sisters and I have achieved, we owe it to her. My mother-in-law is completely devoted to home though she worked as a teacher before her retirement. I’ve seen how she has faced health issues and other things without flinching, and time and again, has got back to her normal life by what often seems sheer will. I think I’m influenced by these two women quite deeply in my life and all my commitment to my family springs from that inspiration. Which women have figured as inspiring people in your life? Alternatively, what’s your definition of a strong woman? Just answer any of these two simple questions to enter today’s giveaway. You can give examples from real life and/or fiction. 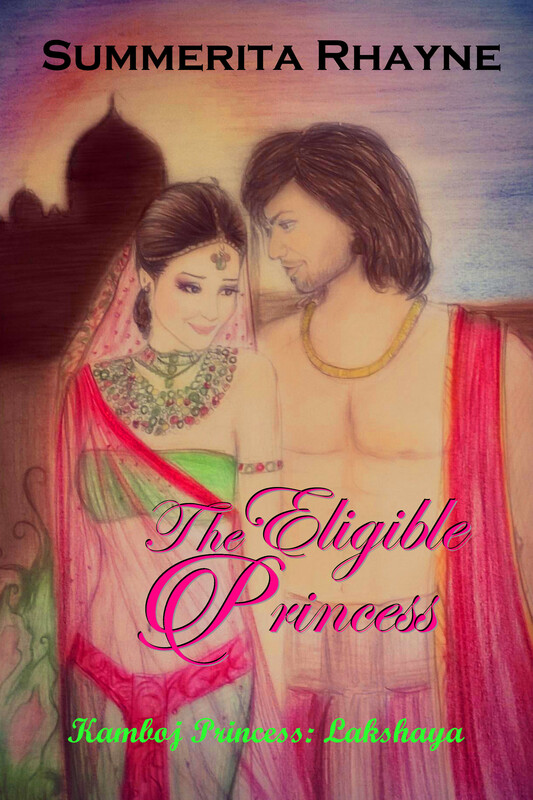 One of the commenters will win both the books in the Indian Princesses Saga, featuring the princesses Lakshaya and Rukmani, female heroes who aren’t afraid to go after and stand up for what they want, even in the restricted society of the early medieval period in India.